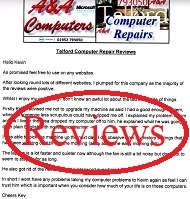 We offer fast, low cost emergency computer repairs in Telford for multiple issues with most brands of Laptops, PCs and Notebooks. 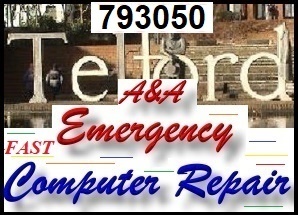 At the time of writing (January 4th 2018), our latest emergency computer repair was for a disabled lady who lived just outside Telford (we are based near Morrisons Wellington, Telford). The ladies computer had simply "died" in that the light was on but there was no picture on the screen. The lady phoned us at around 5pm spoke to Kevin who diagnosed the fault "over the phone". We collected the laptop around 5.30pm, fixed the (memory related) problem and then scanned the hard disk drive for viruses and malware, stripped the laptop, cleaned the fan and cooling vents, replaced the heat transfer paste on the main chips, reassembled and returned the working laptop before 8pm the same evening. The bill; £45. However, please note that prices vary (depending on work undertaken and any parts used). 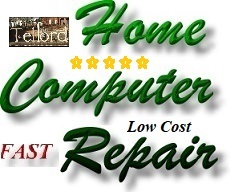 Emergency Telford Computer Repair, simply contact us, bring us the computer to us or agree a collection time. 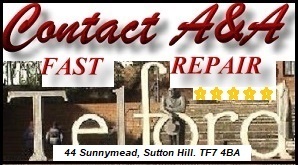 We will assess the system and advise on the repair - quote before starting work. If possible (in about 80% of cases), we will be able to resolve issues the same day (depending on the time of receipt and the fault). however, this will obviously depend upon the actual fault and time taken to retrieve data etc.